At Brandfield you buy the best Ray-Ban sunglasses, like this Ray-Ban Justin Black Rubber Polarized Sunglasses RB4165 622/T3. 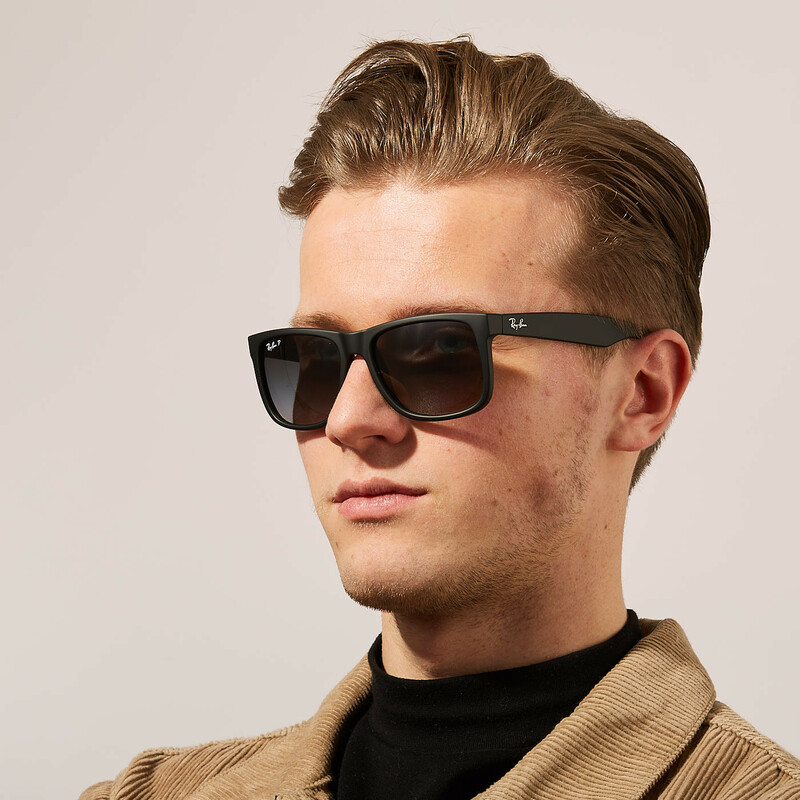 This sunglass is made of plastic in the color black. The glasses are grey. With the Ray-Ban Justin Black Rubber Polarized Sunglasses RB4165 622/T3 you protect your eyes with style!